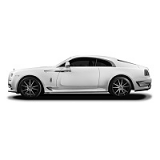 Our custom tailor made indoor and outdoor car covers for all Rolls Royce cars can be found here. Models like the Silver Shadow, Corniche, Camargue and more. Carscovers - we got it all covered.